This week’s wine feature brings a whole new meaning to the idea of “party in a bag”. With a pale lemon colour and a mouthwatering fruit profile, Jost Vineyards L’Acadie Pinot Grigio blends flavours of apple and peach to create a wine with purity and harmony. Although I often applaud wines that create a complex cerebral experience for wine lovers, I also find great pleasure in a wine that succeeds at being easily approachable. “The wine next door” so to speak—a wine that is designed to be enjoyed for its straight forward but tasty flavours and readily refilled without getting boring. And if that wine can also be housed in a convenient 3 litre ecofriendly, shatter-proof container, then the door gets opened even wider for its versatility and venue options. Jost L’Acadie Pinot Grigio is a great choice to have in the fridge at home as your own personal “house wine” or to pack up over the long weekend for your camping, hiking, or picnicking plans. Want another bonus? If you have any wine remaining (slim chances I know!) the design of the packaging keeps the wine fresh for weeks so no drop goes to waste! Enjoy this great value on its own or with something as simple and delicious as your favourite chicken recipe. 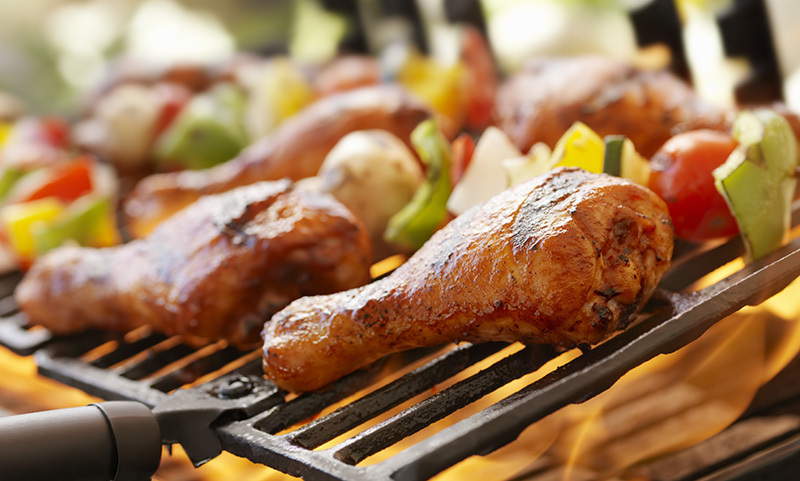 If you are stumped for a fresh idea to serve a big crowd of friends and family, try this easy recipe for grilled chicken legs. Make this combo an attractive addition to your Labour Day weekend plans and celebrate the end of a great maritime summer in style. Cheers! Chicken is a cost effective and tasty option for feeding a crowd. This recipe can be mostly prepared ahead of time so you can spend more time with family and friends, and it feeds 10-12 people!